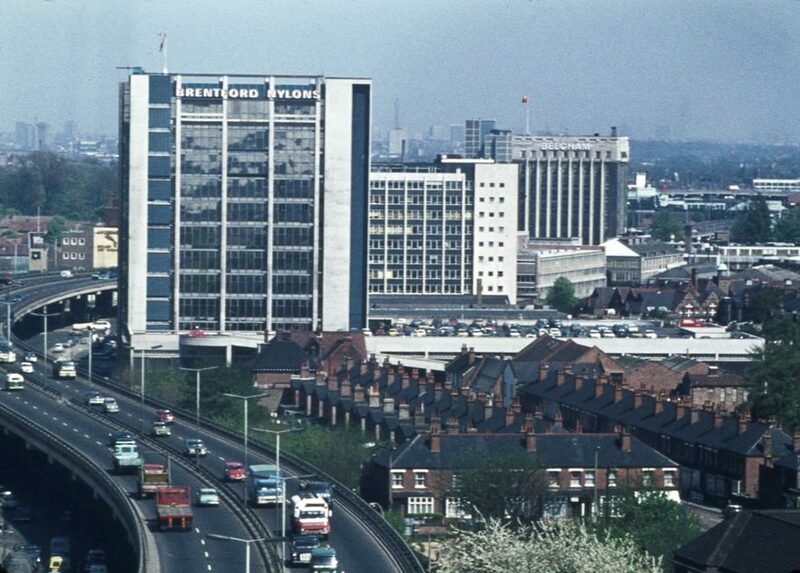 Peter Young took this photo on May 2nd 1973, a view overlooking the M4 with Brentford Nylons HQ and in the distance the Beecham Building. Peter sent another photo of Brentford Nylons taken a few months late - a different building, not sure if they moved sites or had two premises in Brentford. For a wintry view of the construction of the M4 see Colin Carter's photo taken around 1964; this shows the Beecham building with its Lucozade sign.